Ratings, Rants and Raves: As All Daytime Soaps Except General Hospital Rebound Significantly, Is it Time to Backburner Sonny and Co.? Taking a page from dozens of their characters, three daytime soap operas returned gloriously from the dead, ratings-wise, the week of April 9-13 (Source: Soap Opera Network). 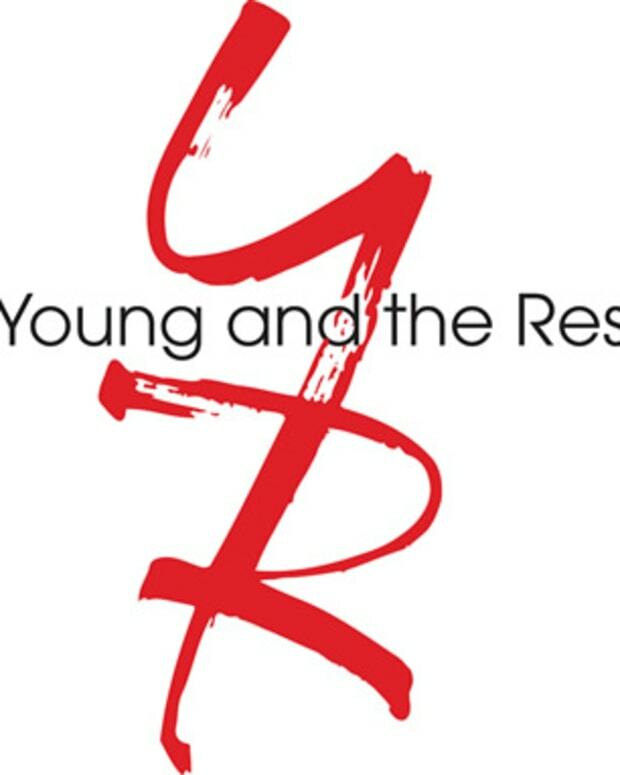 CBS Daytime&apos;s The Young and The Restless, which hit a record low in households the previous ratings cycle, went up 349,000 total viewers and inched up two-tenths of a point in households the week in question. Y&R also went up two-tenths of a point in women 18-49 and one-tenth of a point among W18-34. In story, Adam Newman (Michael Muhney) rescued Chelsea (Melissa Claire Egan) from the Genoa City Pond-O-Death and delivered the baby his estranged sister Victoria (Amelia Heinle) and her husband Billy (Billy Miller) so desperately wanted. Genevieve (Genie Francis) overheard Jack (Peter Bergman) detailing his plot to quickly marry and divorce her, after gaining control of Beauty of Nature, causing Jack to have to play the lying game with the fruit loop. Also that week, Sharon (Sharon Case) was generous enough to let Ash (Eileen Davidson) visit with Faith, the daughter the chemist once believed to be her own, courtesy of a swap-and-shop pulled by Adam. Y&R just may have something with Adam and Chelsea. If done right, Victoria/Billy/Chelsea/Adam could turn out to be good soap. Unfortunately for Peter Bergman, nothing about his scenes with Genie Francis is good, especially when that awful, campy "Genevieve" music is playing. Both of these soap vets both deserve better. Y&R and Francis should cut their losses, freeing her up to go back to General Hospital. The Bold and the Beautiful went up 167,000 total viewers and was up 286,000 year-to-date. B&B held steady in households, still up two-tenths of a point year-to-date in that demo as well. Among W18-49, B&B was up one-tenth of a point and up a whopping three-tenths of a point year-to-date! Among W18-34, the 30-minute Bell sudser held steady. In storyline, a pair of Forrester heirs were competing over a blonde named Caroline Spencer. No, the Wayback Machine didn&apos;t take us back to 1987; I&apos;m not referring to the Ridge/Caroline/Thorne storyline that helped launch B&B 25 years ago. I&apos;m speaking of the brewing conflict betwwen Ridge&apos;s (Ron Moss) son Thomas (Adam Gregory) and Brooke&apos;s lad Rick (Jacob Young) over the late Caroline&apos;s (Joanna Johnson) niece, Caroline Jr. (Linsey Godfrey). While Caroline 2.0 was having the kind of problem any girl would love, another California blonde wasn&apos;t having such a good time. Well, she was until her behind slipped and fell off that diving board, into a swimming pool, high as a Christmas rum cake! Yep, I&apos;m talking about Hope Logan (Kimberly Matula). Brooke and the soon-to-be returning Deacon&apos;s (Sean Kanan) troubled, mess of a daughter had to come clean to Liam (Scott Clifton) about the drugs she&apos;s been taking, after her unintentional belly flop. B&B&apos;s frothy twentysomething dramas have been a nice appetizer this spring. I can&apos;t wait for Deacon to bring the main course this summer! Like Y&R, NBC&apos;s Days of Our Lives also rebounded from record low ratings from the previous ratings cycle. DAYS went up 221,000 total viewers and was up 29,000 year-to-date. DAYS also climbed two-tenths of a point in households and was up one-tenth of a point year-to-date. Among W18-49 and W18-34, the almost 47-year-old sudser went up one-tenth of a point respectively. Storywise, John (Drake Hogestyn) and Hope (Kristian Alfonso) returned to Salem, having finally opened Stefano&apos;s (Joe Mascolo) Cadbury Creme Egg. Kate (Lauren Koslow) suddenly became so insecure about Stefano&apos;s love for Marlena (Deidre Hall)—whom Stefano has only shared like three scenes with this past year—that she boinked Ian (Ian Buchanan). EJami decided it was best for their treehouse full of kids that they not bang each other&apos;s brains out anymore (It may be best for the kids, but certainly not for this viewer!). EJ also caught the worst ISA operative ever, Billie Reed (Lisa Rinna), snooping around at Casa DiMera. After Will (Chandler Massey) came out to Sonny (Freddie Smith), the boys embraced warmly. I can&apos;t be certain, but from the looks on their faces, their might have been wood. Last and most assuredly least, Carrie (Christie Clark) dissolved her partnership with Rafe (Galen Gering) and the poor actors continued to try their best to make anyone believe they could generate enough chemistry to make ice water. ABC Daytime&apos;s General Hospital was the only soap opera not to go up in total viewers over the previous week; in fact the last place soap fell a slight 27,000 in total viewers. GH was down in the same category 320,000 year-to-date. In households, GH also came in last place, holding its numbers steady from the previous week. Among the W18-49 demo, GH went up one-tenth of a ratings point, which had it above a last place DAYS in Mad Ave&apos;s most coveted demo. Among W18-34, GH was tied with B&B for last place. In story, the fabulous Heather Webber (Robin Mattson) was released into her son Steven Lars, er Steve&apos;s (Scott Reeves) custody, much to Olivia&apos;s (Lisa LoCicero) chagrin. It didn&apos;t take Kooky Heather long to a.) go after Luke (Anthony Geary) and b.) face off with her little cousin-in-law Sam (Kelly Monaco). I cannot even begin to describe how glad I am to see Mattson back on my screen. Wishful Storytelling: Olivia, Sam and Anna (Finola Hughes) bond over their Heather woes the same way Skye Chandler (then Carrie Genzel), Erica Kane (Susan Lucci) and Janet From Another Planet (also Mattson at the time) did over their mutual hate for Dr. Jonathan Kinder (Michael Sabatino) on All My Children! As for the other big story on GH, Sonny&apos;s (Maurice Benard) trial, I am beginning to see why fans are growing sick of this kind of scenario. I mean, Sonny does go on trial every year and is always acquitted. The only unique aspect to this latest courtroom caper has been cuckoo for Cocoa Puffs Connie (Kelly Sullivan) popping out and acting a fool. Although personally I am a card-carrying Sonny fan from way back, I&apos;m also one who believes where there is rampant fan anger, there is sometimes fire. On every blog, soap message board—heck even some bathroom walls—fans and critics alike are screaming about being tired of Sonny, Jason (Steve Burton) and Carly (Laura Wright) dominating this soap opera. While I firmly believe the dismal lead-in GH is receiving from The Revolution plays the most significant factor in the soap&apos;s ratings woes, I have to play devil&apos;s advocate on this one. Maybe it is time for the Holy Trinity to do their fair amount of time on the backburner? See you next Ratings!